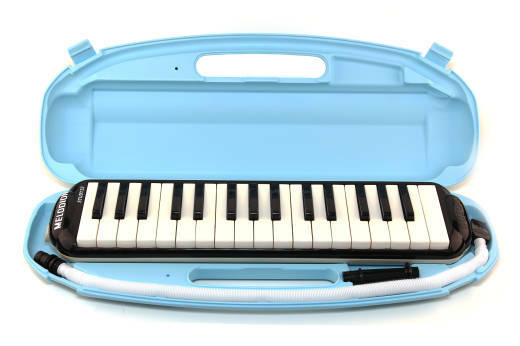 Suzuki's lightweight Melodion, available in four colours - black, blue, pink or yellow, is ideal as a starter instrument, or for children. Very little effort is required to operate. Bought this on a good sale, but two of the black keys have sound problems. One key rattles and another key whines. The rest of the melodion notes sound fine.